Looking to buy or lease a new Jeep Compass? Shop with Spitzer Chrysler Dodge Jeep Ram Cleveland to find great discounted pricing on a new Jeep Compass for sale in Cleveland. At Spitzer, we have a great selection of new Jeep Compasses for you to choose from at our Cleveland location, available in a variety of colors and at a competitive price, whether you’re looking to buy or lease. Use our site to check out all of the great features the Compass has to offer, and see which specials and Jeep lease deals you can qualify for. When you’re ready, we can help you get behind the wheel for a closer look. • Great off-roading capabilities paired with a cabin that feels sophisticated and upscale. • Available Selec-Terrain Traction Management System® lets you choose the best mode to dominate any terrain, in any weather conditions. • Available MultiAir® 2 valve train system on the 2.4L Tigershark® engine gives you up to 180 horsepower and up to 2,000 lbs of towing capacity. • Modern safety features like adaptive cruise control, Lane Departure Warning, and Rear Cross-Path Detection to keep you safe every mile you drive. • Available Uconnect system comes with an 8.4-inch touchscreen with Apple CarPlay and Android Auto integration, giving you easy access to directions and music on to go. At Spitzer Chrysler Dodge Jeep Ram Cleveland, we are dedicated to giving you a no-hassle car buying experience. 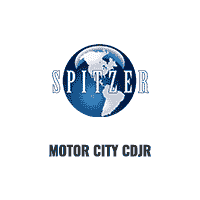 It’s been Spitzer Automotive’s mission since 1904, that’s why we say Our World Revolves Around You. Visit our Jeep dealership in Cleveland, and after you’ve looked over our Jeep specials, schedule a test drive so you can experience the Jeep Compass for yourself.